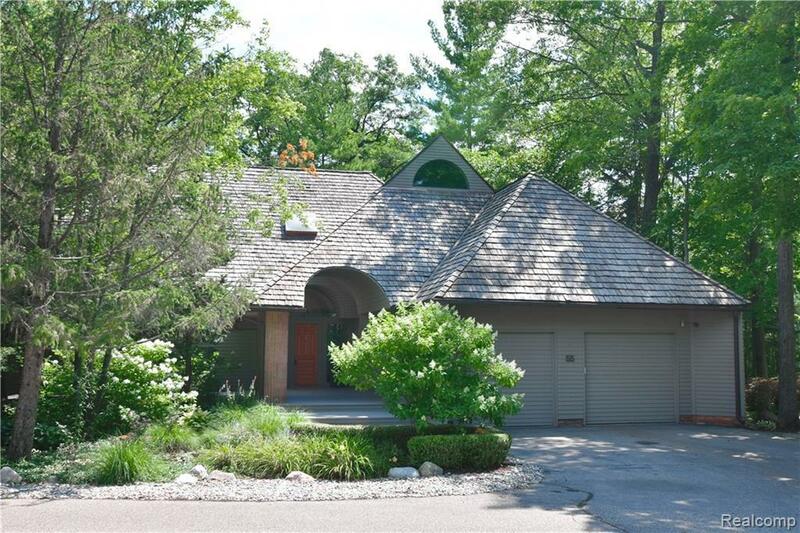 Gracious home in secluded Bloomfield Hills enclave makes you feel as though you?re in Northern Michigan. 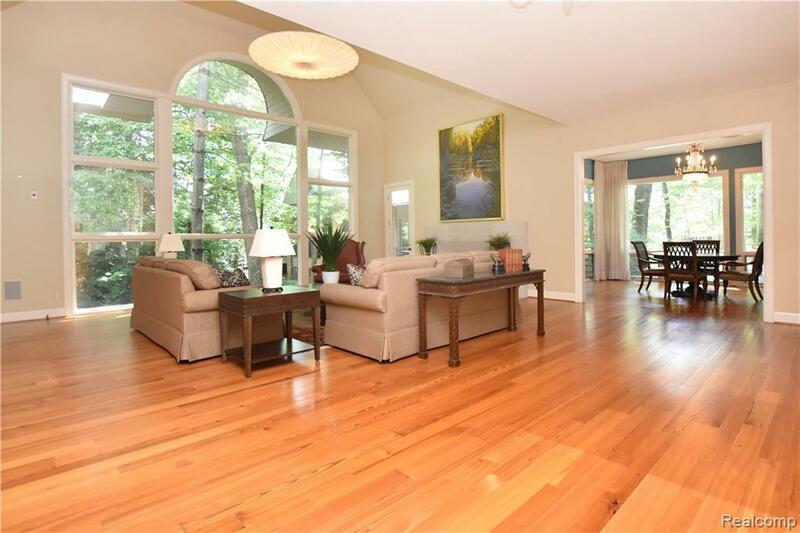 Walls of floor to ceiling windows provide exceptional views of surrounding woods & bathe the interior in natural light. The redesigned & rebuilt elegant interior showcases incredible attention to detail and luxury craftsmanship with dramatic two story living room, intimate dining room w/ corner built-ins, cozy den & spectacular gourmet kitchen with premium appliances, blue stone island/counter tops, eat-in breakfast rm & wide leaf pine flrs. 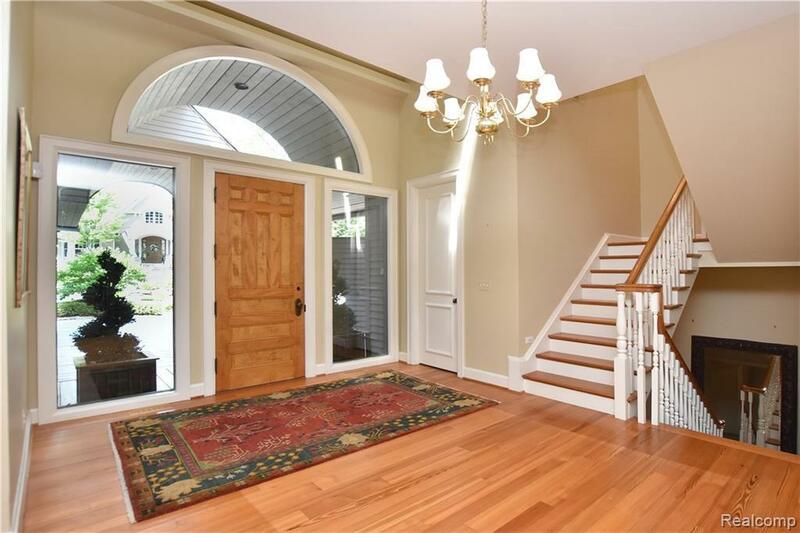 Gracious first floor master suite resonates sophistication with an exquisite marble bath incl steam shower, radiant floors & large walk-in closet & private deck. 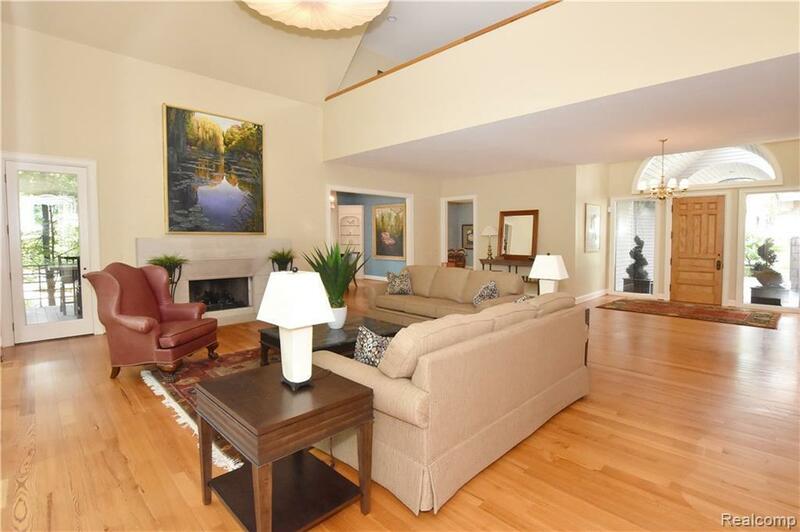 Loft overlooking the living room leads to 2 upper level bedrms, full bath and large office/bonus space. Enjoy the finished daylight LL boasting 2597 sq ft, high ceilings, family room, 4th bedrm, full bath, plenty of storage and access to exterior. 2 car garage. Excellent location!